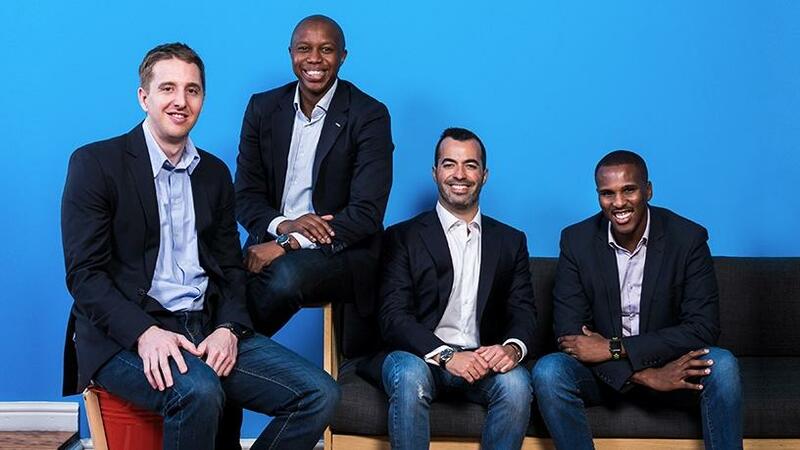 Yoco's leadership: Bradley Wattrus (CFO), Katlego Maphai (CEO), Carl Wazen (chief business officer) and Lungisa Matshoba (CTO). Local point-of-sale payments provider, Yoco, has raised R230 million in a series B round of funding after having tripled its user base since the beginning of last year. The investment was led by Partech, with participation from Orange Digital Ventures, FMO (The Dutch Development Bank), South African-based FutureGrowth and existing series A investors Quona Capital and Velocity Capital. Yoco builds tools and services to help small businesses accept card payments and manage their day-to-day activities. Since launching its first product in late 2015 (a card reader that connects with a merchant's smartphone or tablet), the company has grown its base to over 27 000 South African small businesses, 75% of which had never accepted cards previously. According to Yoco CEO Katlego Maphai, the fintech company will use the funds to grow its network of small business merchants, and invest in product development, operational scalability and attracting top-tier fintech talent. "Partech is a venture capital firm based in Silicon Valley, Europe and Africa. It brings together capital and resources to support entrepreneurs in Europe, North America, Asia and Africa. "Orange Digital Ventures is a Paris-based early-stage, risk-oriented corporate fund, and has offices in London and Dakar. It invests globally, with proactive detection and sourcing wherever Orange operates. "The entire process took six months from start to finish. However, we had already begun building relationships with all these investors before we started raising the round," he says. Maphai adds the investment will enable the company to expand operations beyond SA. "The investors are global but with strong Africa footprints, having physical presence on the continent and dedicated capital for African investments. We believe this gives us the dual benefit of global perspective and networks, combined with strong hands-on support in SA and Africa. "Yoco is an African company but our ambitions stretch beyond our home market. For now, we are focusing on the South African opportunity, where we see huge potential to enable close to a million small businesses through our platform. Although we do have long-term plans to operate across multiple markets in Africa, to date we have already run pilots in two other markets in Sub-Saharan Africa and continue to explore markets that are attractive for future expansion, albeit no timelines have been set as yet." This second round of investments will see Cyril Collon, general partner at Partech and co-lead of the Partech Africa Fund, join Yoco's board. "We are excited to have Yoco as the second investment from our Africa fund. Consumer spending in Africa amounts to over $1.4 trillion, much of which is driven by small businesses. Yoco's ability to use technology to solve real problems for African small businesses at scale makes it a unique implementation of our investment strategy." Carl Wazen, co-founder and chief business officer, notes the size of the round and quality of investors show there is investor confidence and appetite for new business models and untapped segments in SA. "We want to expand our presence into new regions across the country in the coming 18 months. Currently, we operate nationwide but only have physical presence in Cape Town and Johannesburg."